Download Real Estate Website Template Free PSD. Today’s Freebie is visually stunning Free PSD Template which is specially designed for property listing portal, as well as agent and real estate agency’s website for providing latest information and selling Houses and other properties Online. Real Estate Website Template has been designed to keep in mind as a highly adaptable solution for webmasters of any background who are looking to create modern yet highly functional and flexible real estate property listing portal websites. With impressive graphics, clean layout is best to impress your users and client. 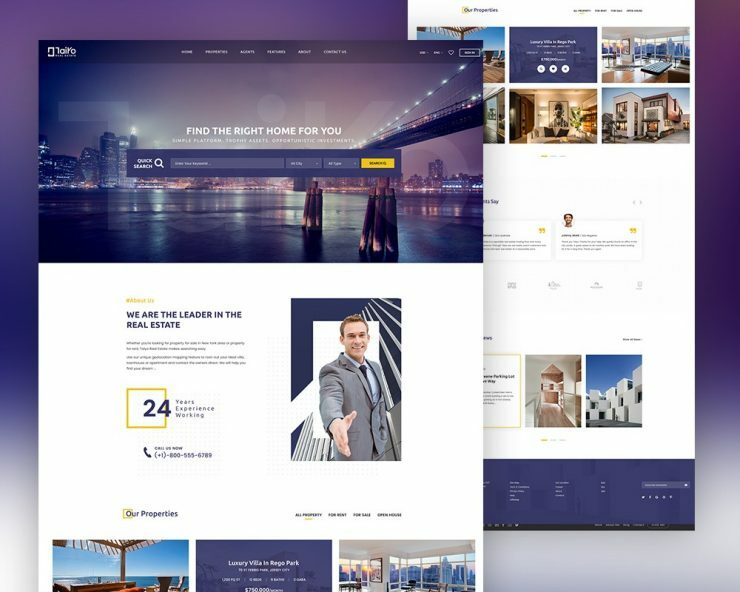 This Real Estate Website Template is not your usual real estate template since this is designed in a way that will make your real estate website look professional. Hope you like this free Real Estate Website Template. Enjoy!